On Wednesday 17th October, we welcomed 49 of our new Cohort 5 HSST trainees and over 25 workplace supervisors to The University of Manchester Innovation Centre (UMIC) for the programme induction. In the morning, representatives from the NSHCS gave presentations on learning and assessment in the workplace, the training plan and OneFile. We also welcomed George Burghel, a Cohort 1 Life Sciences: Genetics trainee and Chris Baker, a Cohort 2 Medical Physics:Imaging trainee to share their experiences of HSST thus far. 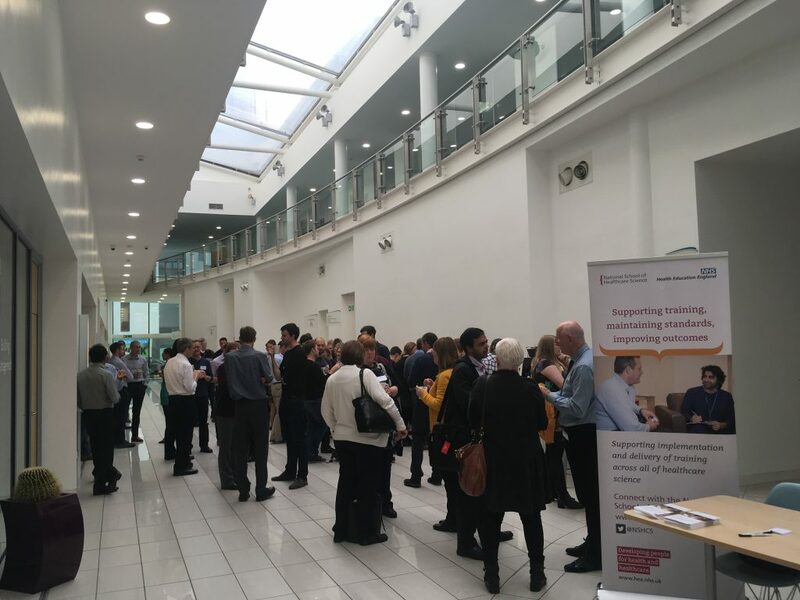 At lunch, there was a networking opportunity for delegates and information stands for the RCPath, NSHCS, MAHSE, Manchester Metropolitan University and The University of Manchester. MAHSE Lay Representatives and Prof. Brendan Cooper, President of the Academy for Healthcare Science were also in attendance. In the afternoon, programme directors and programme administrators from The University of Manchester and Manchester Metropolitan University provided trainees and their supervisors with an introduction to Sections A-C of the DClinSci, the academic component of HSST. The day concluded with a Q&A session with the panel of speakers, questions and responses are provided below. Presentations from the day are available below. Please note that the content of the below presentations is subject to change, any updates will be posted on the MAHSE website.